The growing number of biological drugs such as monoclonal antibodies (mAbs), as well as the wealth of heterogeneity between mAb variants requires a thorough development process to maximize mAbs compliance with regulation. Therefore, biophysical analytical methods are required already at early stages of the development process to guide and streamline further antibody processing and to predict antibody developability. 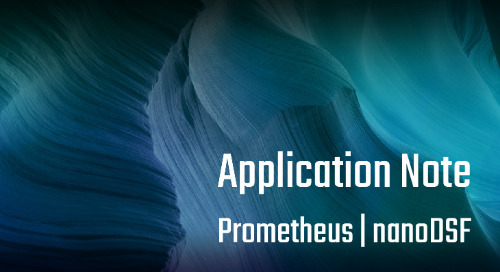 In this case study, we demonstrate how the Prometheus NT.48 can be used to predict long-term mAb stability in a formulation screen by simultaneous quantification of both, conformational and colloidal stability of biologicals in thermal gradients.